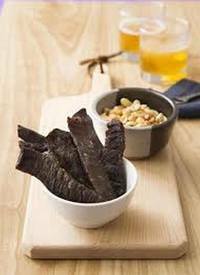 Jerky is more popular than ever as a high-protein, low-carb, mighty tasty snack. Store-bought jerky ranges from wretched to artisan, and the good stuff is pricey. If you’re inclined to make your own, it’s an easy — though not quick — project, even without a dehydrator.